Life is good at The Beachin’ Bash! 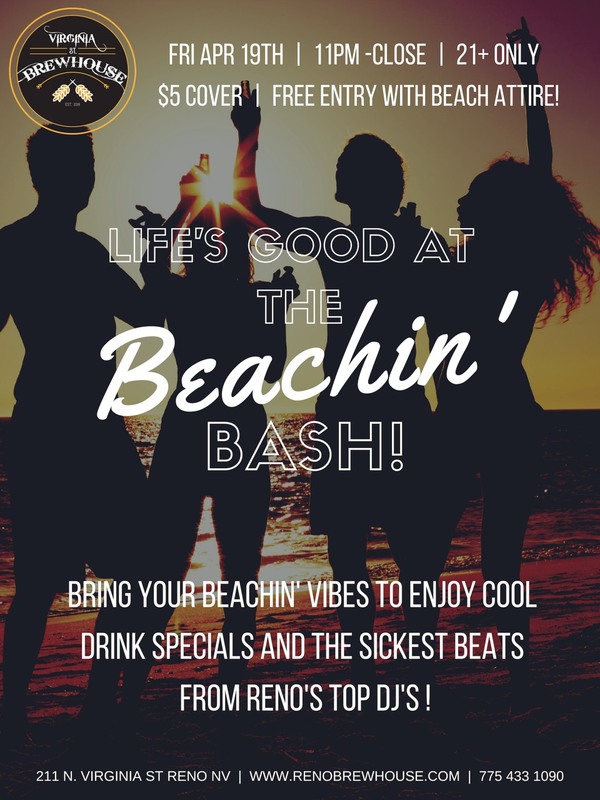 Bring your beachin’ vibes to enjoy cool drink specials and the sickest beats from Reno’s top DJ’s! 21+ only. $5 cover. Free entry with beach attire!